The need: In the past, farmers taking action to genetically improve their herd had no way of measuring progress. 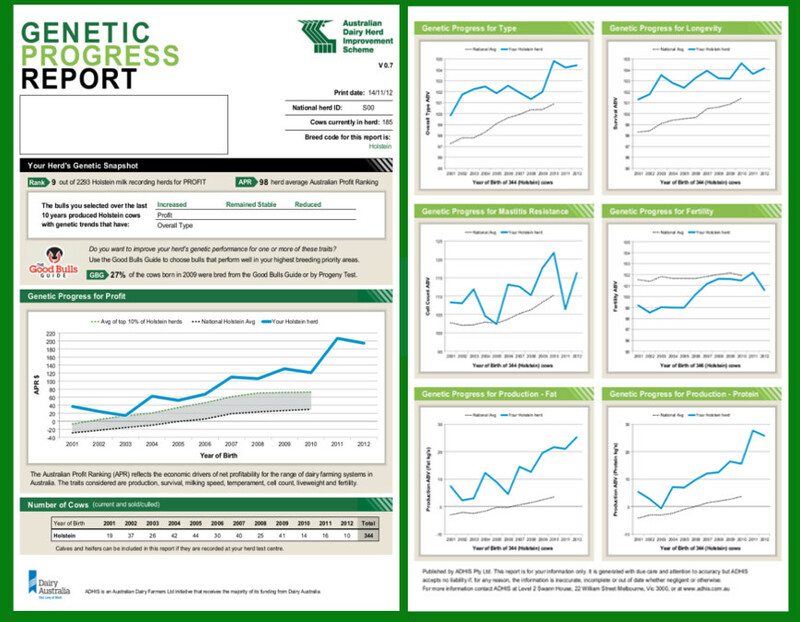 Development of a genetics progress report aimed to make this investment more transparent by providing evidence on the genetic merit of individual dairy herds for a range of performance indicators. What we did: The Harris Park Group worked with the Australian Dairy Herd Improvement Scheme to design a report that helped farmers assess the genetic merit of their dairy herd and how it was changing over time. The report provides a visual picture of the outcomes of past choices and lays a strong foundation for farmers to discuss bull choices with their service providers.